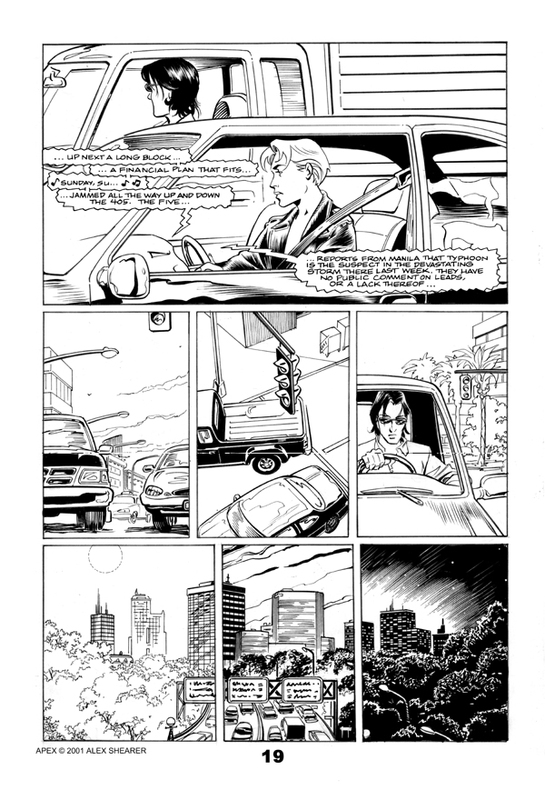 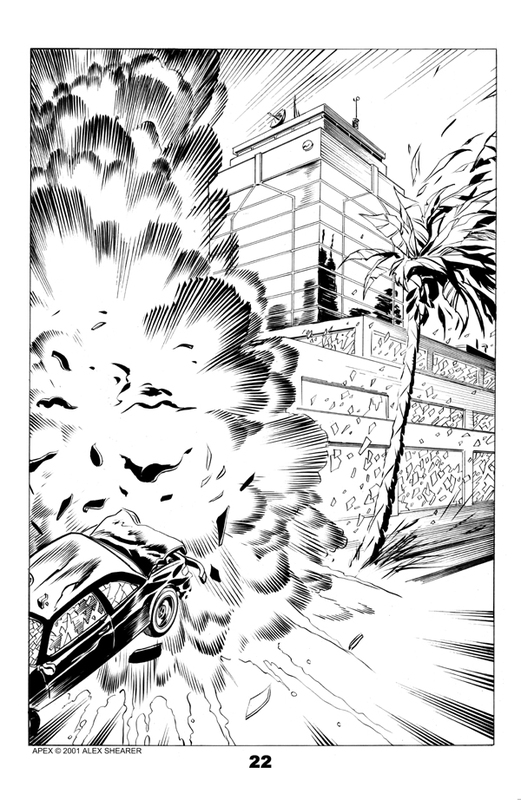 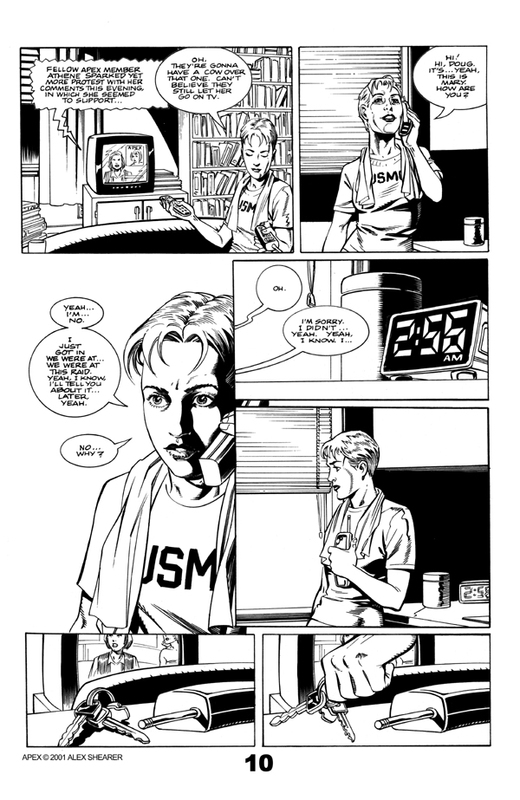 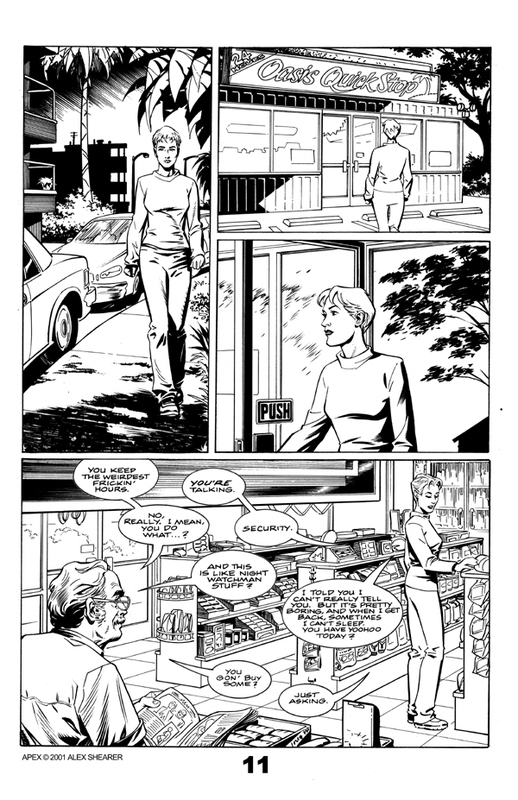 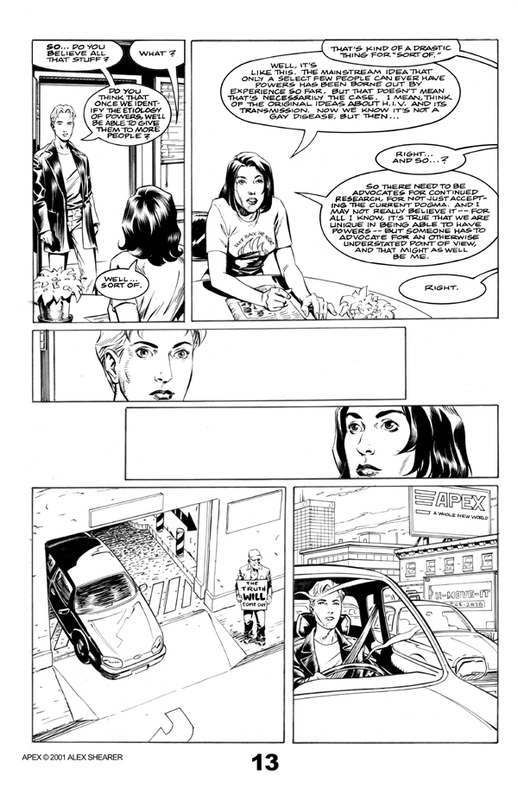 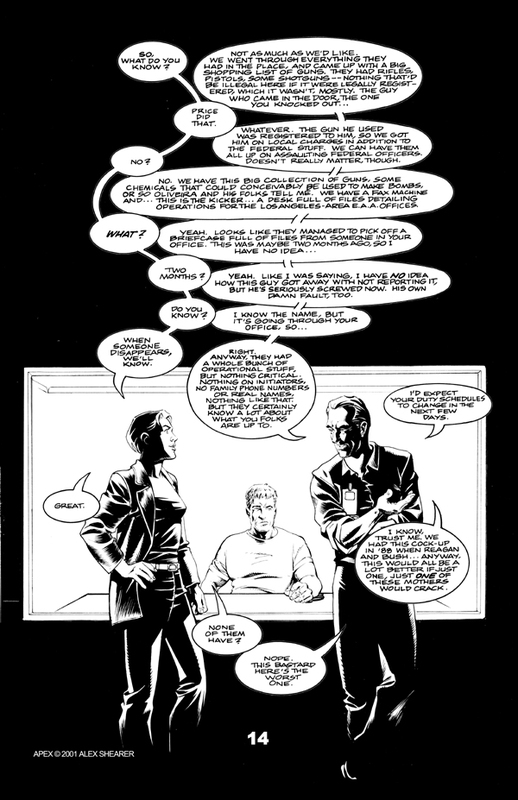 I co-created Apex with Pia Guerra around 2000. 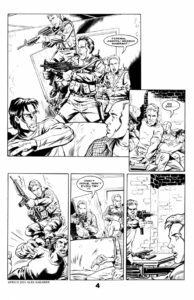 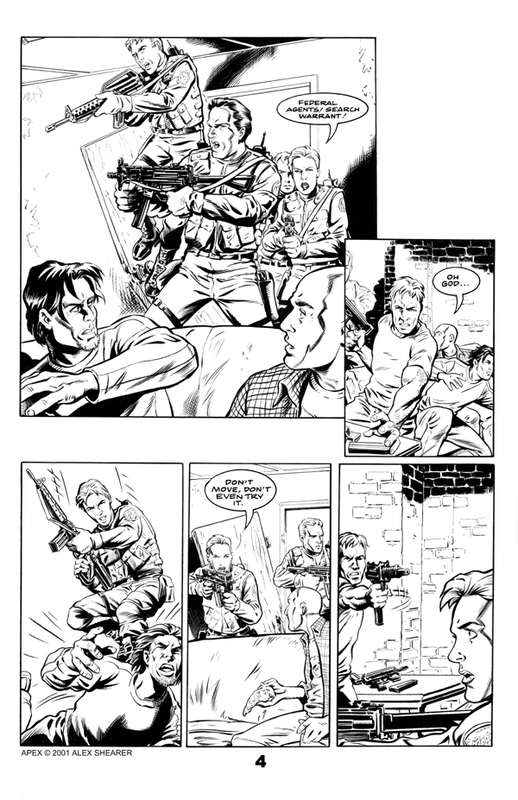 It’s the story of a team of super-powered Federal agents taking on a homegrown super-uprising, and was greatly influenced by events of the 90s, especially militia movements and the Oklahoma City Bombing. 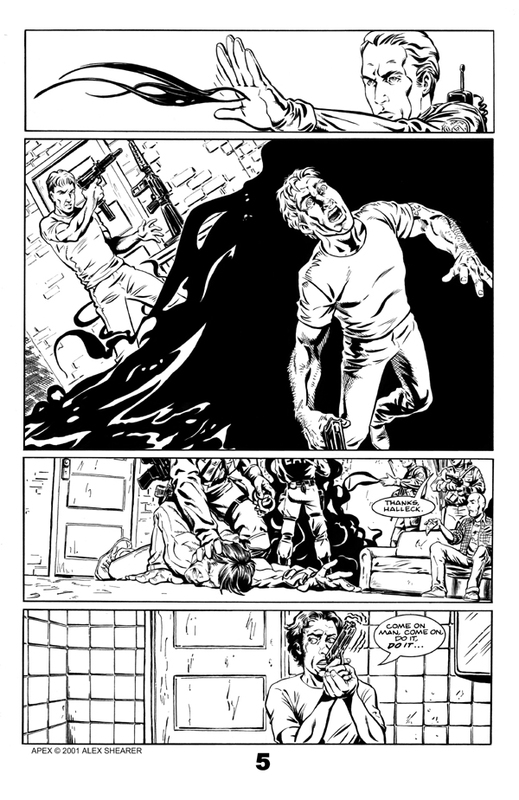 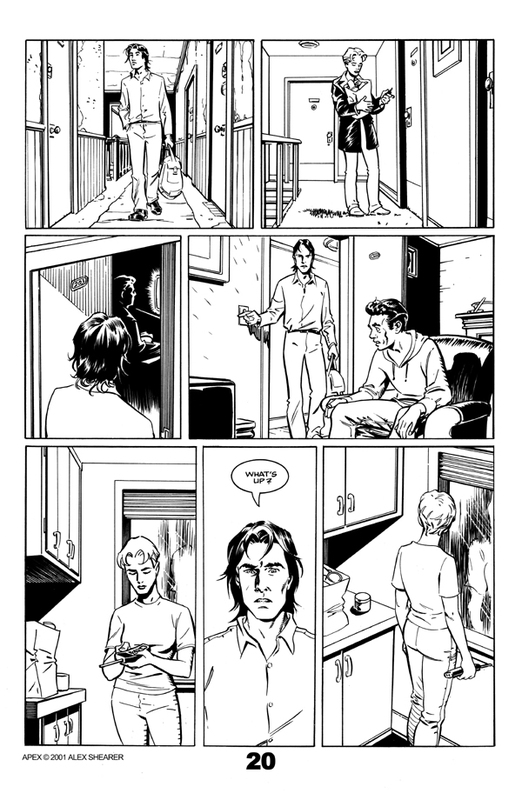 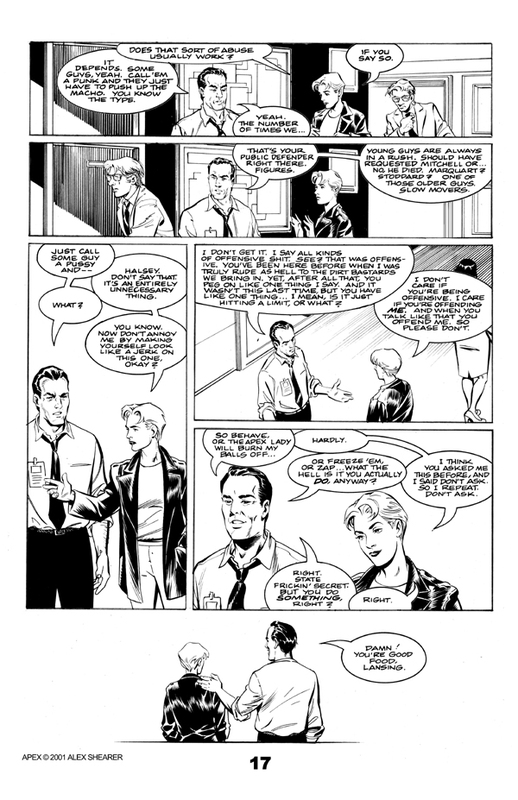 It was my first foray into comics writing and is incredibly talky. 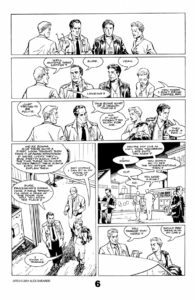 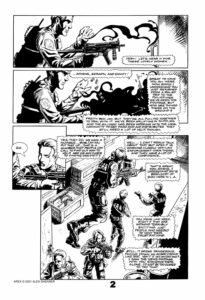 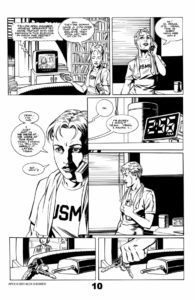 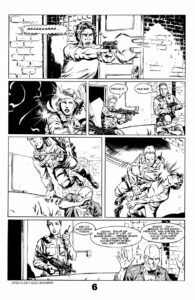 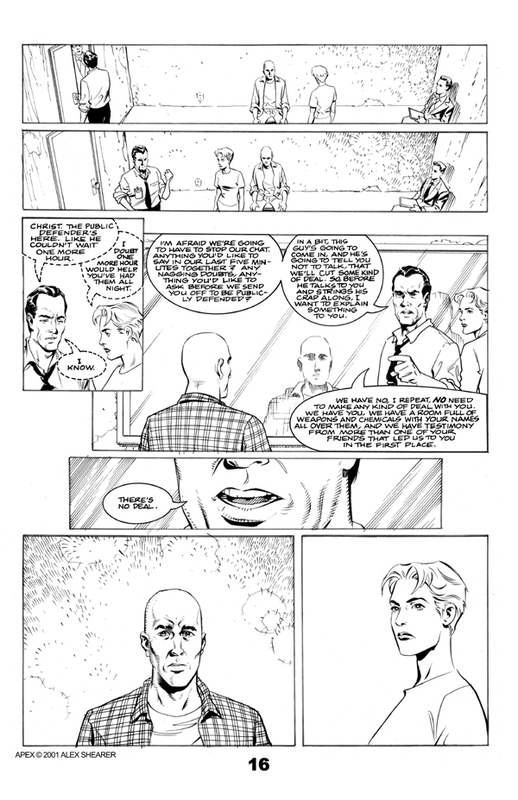 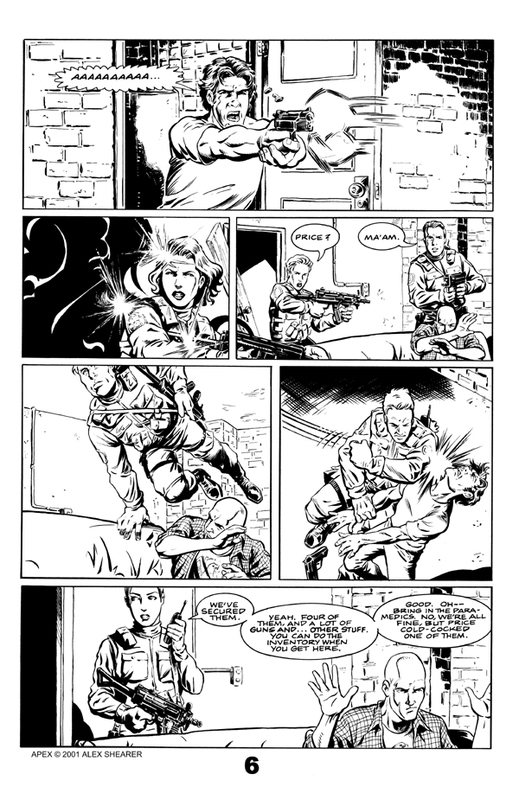 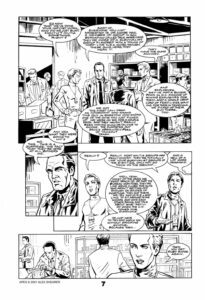 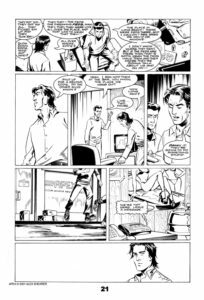 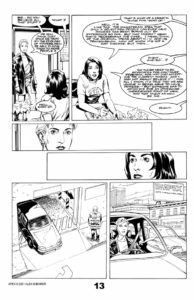 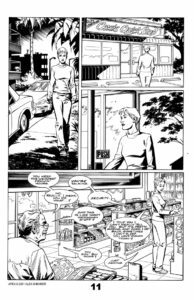 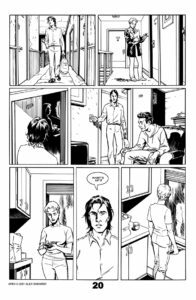 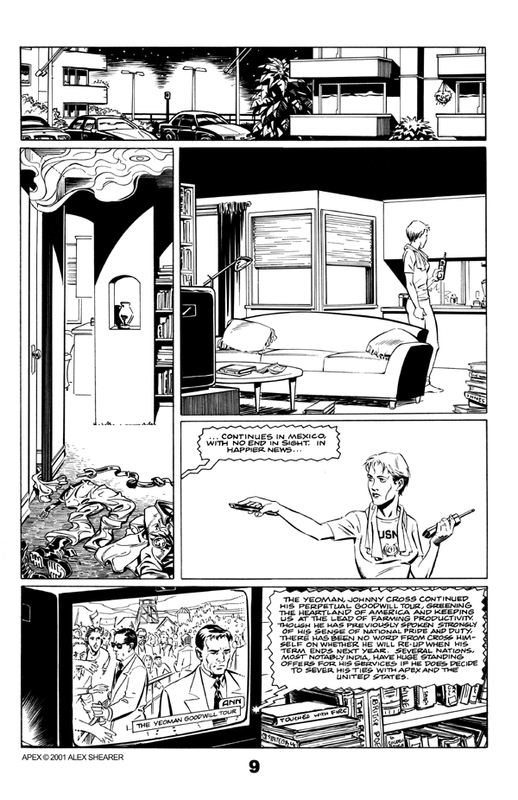 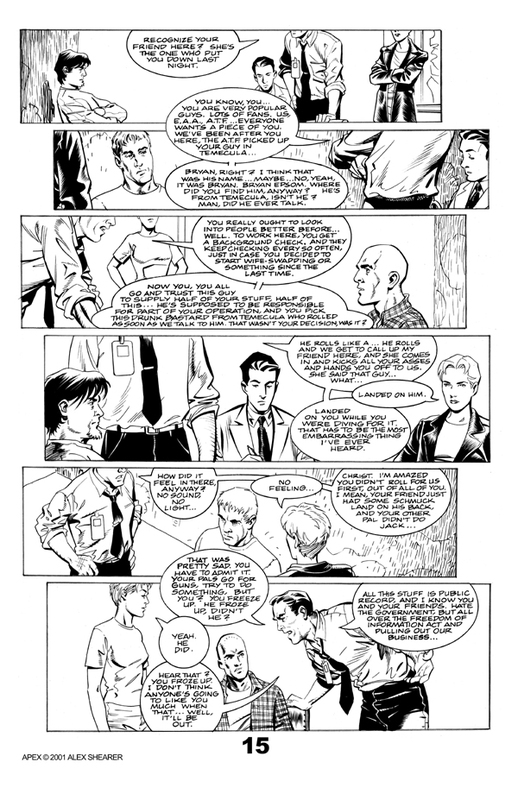 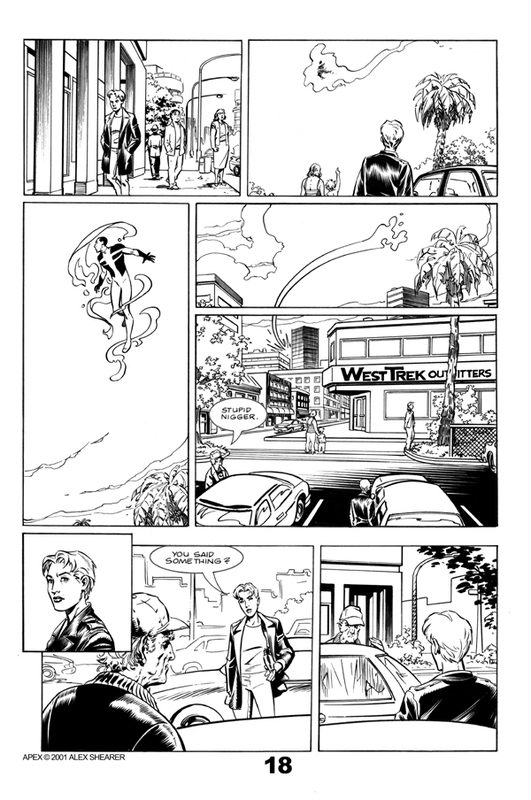 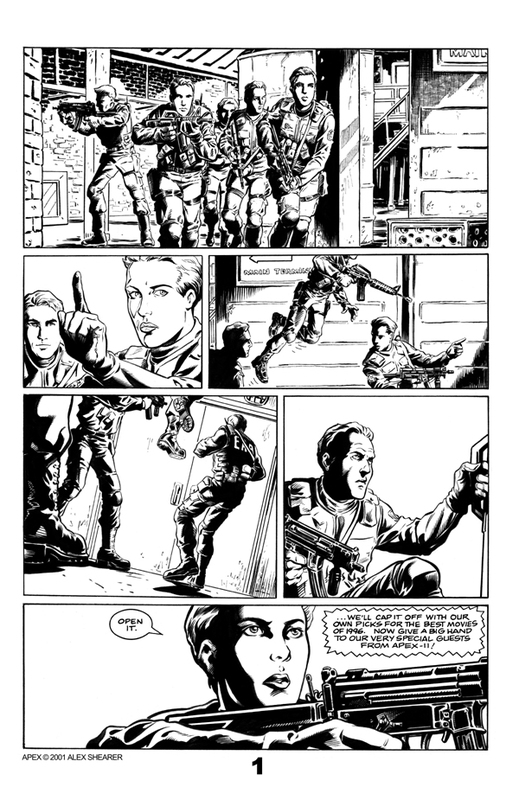 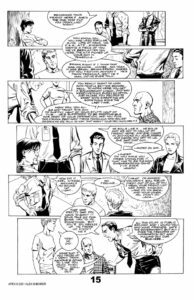 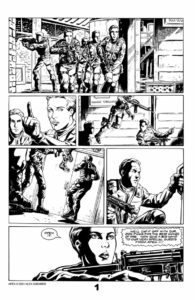 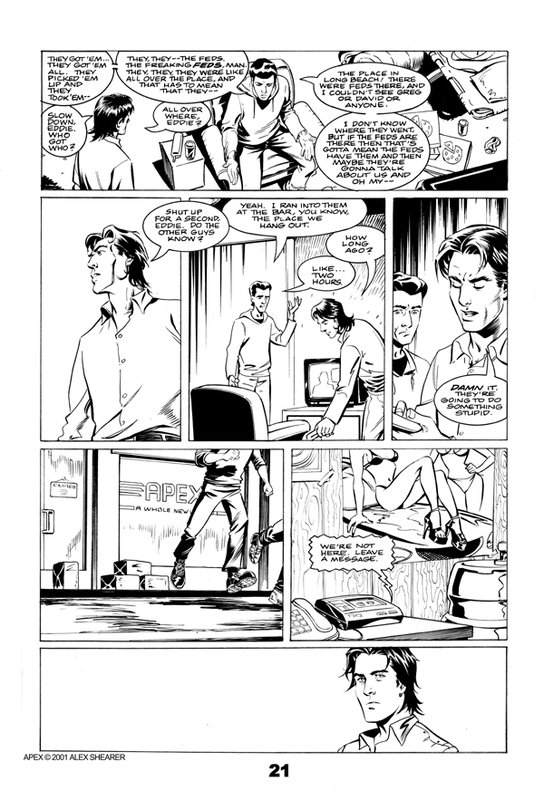 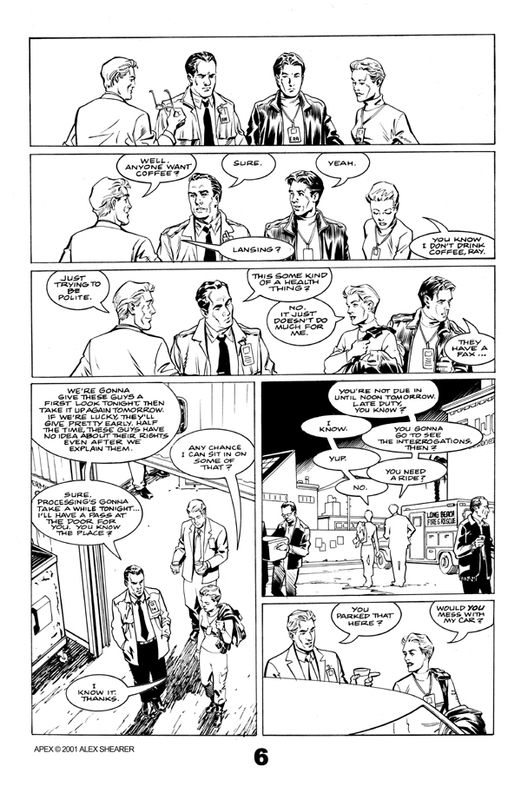 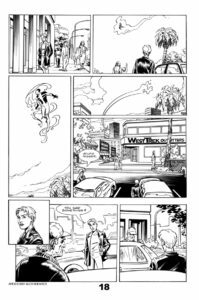 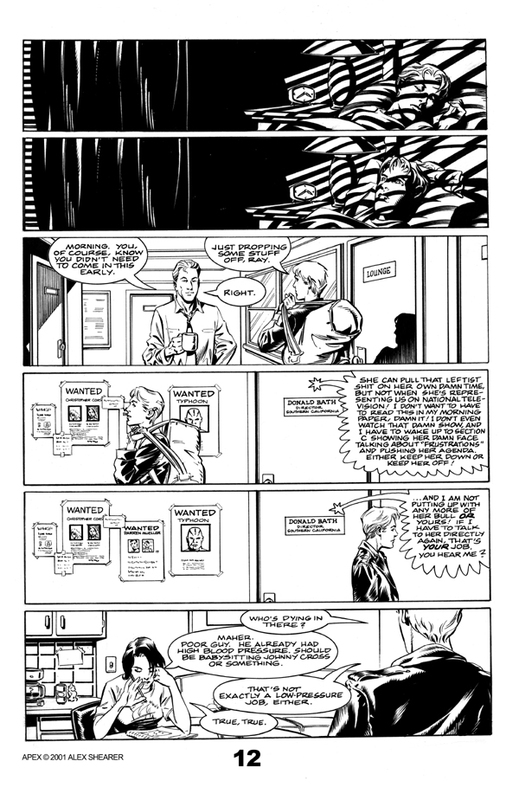 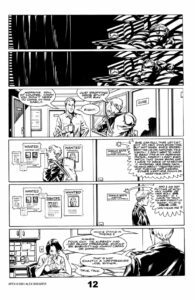 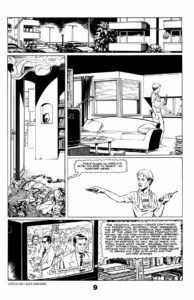 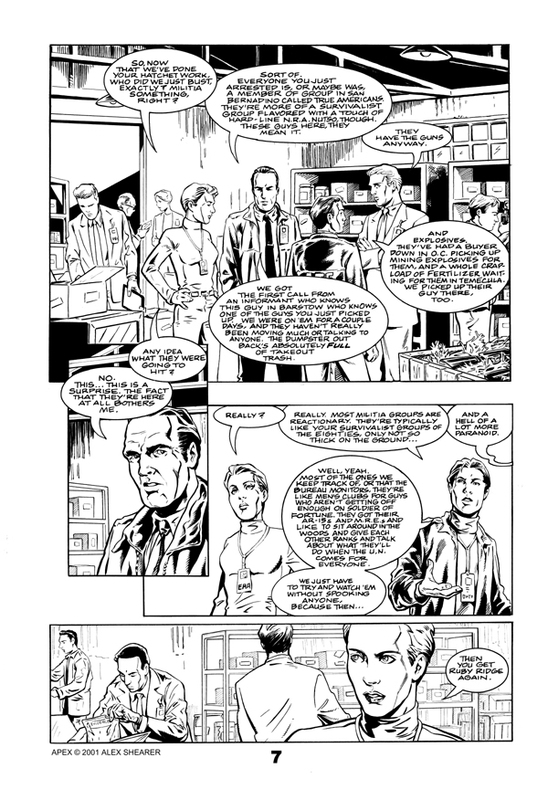 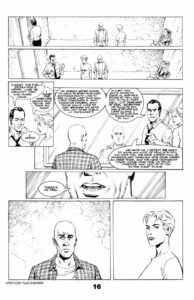 You may need to zoom on some of the pages (mouse scroll on a PC / two-finger drag on a Mac to zoom) to read all the dialogue.